I absolutely love Valentine's Day! While viewed by many as a romantic celebration, I think of it as a time to shower a little affection on all those I love...friends, family, kids, spouse. The nice thing about Valentine's Day is that there are not a lot of expectations; no one expects a valentine card or gift, except perhaps your significant other. A sweet little remembrance in the form of a card or homemade goodie is then an unexpected treat that delights. 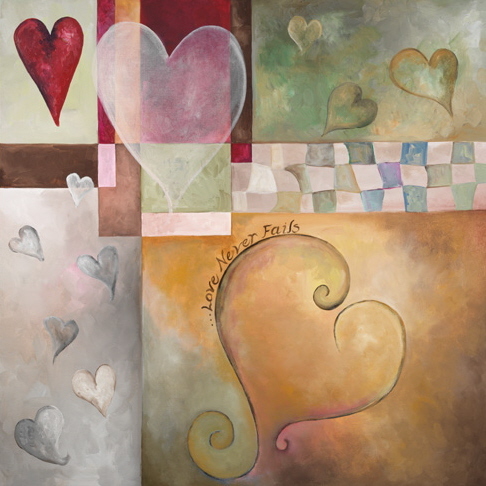 "Love Never Fails"...inspiration from I Corinthians 13.